The very first birth I had the honour of photographing, was that of my little niece Lucy. 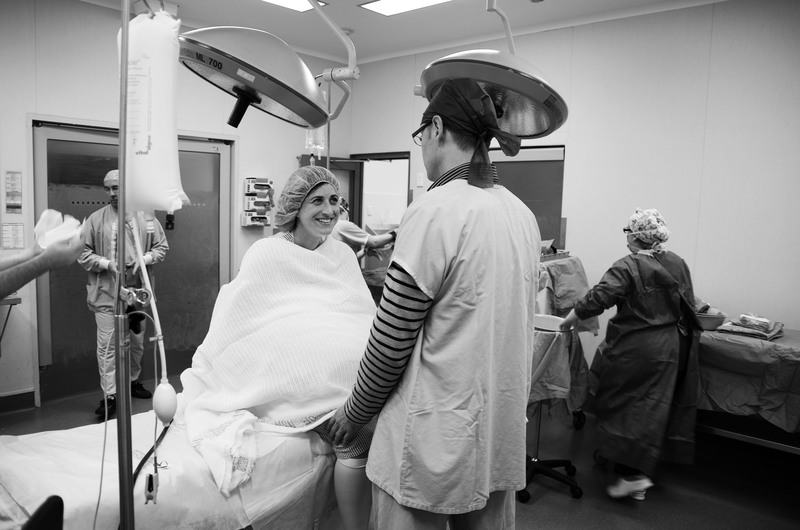 It was a scheduled caesarean section delivery and it was amazing! I had decided to go back to study…photography again. I had completed almost all the photography units offered at the university here, before leaving at eight months pregnant to give birth to my Maisy. I had always intended to go back, but 22 months after Maisy was born Aidan arrived, and 17 months after that, we welcomed Juliet. When 2 whole years had passed without another pregnancy, I decided it was time to get back behind the camera and in the darkroom again, and so enrolled in a photoimaging course at the TAFE. The day before my first class I discovered that I was pregnant yet again! I decided to go ahead and throw myself into the course anyway, knowing I would need to leave half way through to bring our little Eve into the world. When our analogue teacher announced a documentary style assignment I was stoked. Documentary photography has always been my favorite style and my head was flooded with ideas. I knew that I wanted to do something different, something ‘special’. My brother’s wife was heavily pregnant with their second child and I entertained the idea of asking her if I might be able to photograph their birth. I worried however, that they might feel pressured to agree, but wouldn’t really want me there. So I left it and tried to bring together some other ideas. 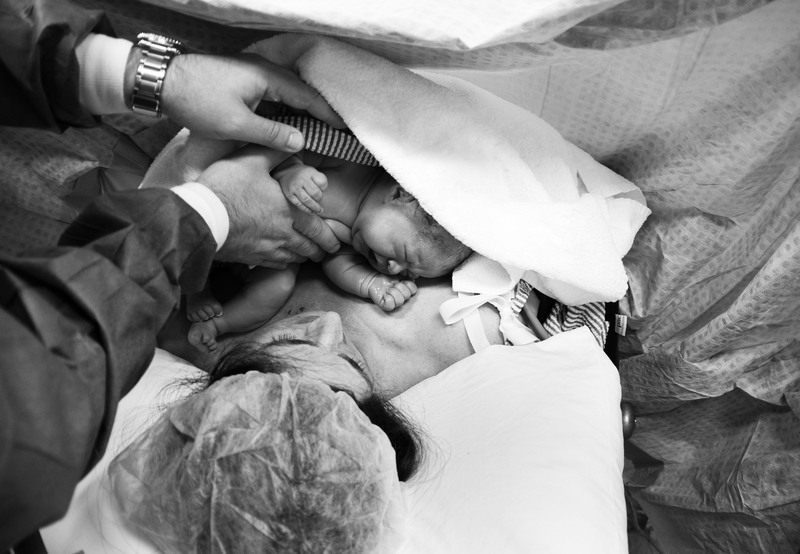 I couldnt stop thinking about it though, how amazing it would be, to be present at a birth and not to be giving birth! The date grew closer, until eventually the night before the big day, I mustered the courage to ask, to just throw it out there…just in case. My sister in law told me they would love to have me there, and had thought about asking me to come with the purpose of taking photos, but didn’t want to put me out! I was SO excited as I drove to the hospital the next morning at 6am. When I arrived they were getting settled and the final checks were being done. I started snapping away (swapping between two cameras -one analogue, one digital) while they chatted, before the wardsman arrived to take us down to theatre. When we got there it was a hive of activity. Nurses and midwives busily preparing equipment, the anesthetist prepping for the epidural. My brother was able to hold and support his wife while the epidural was administered. He cracked jokes and tried nervously to keep her smiling. The obstetrician arrived and immediately got to work. 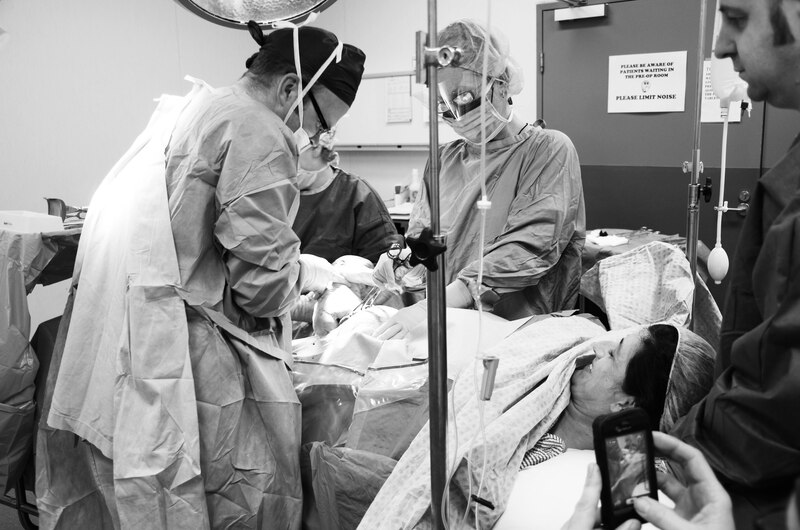 It was all happening so quickly and I felt so pressed to capture all the little moments that were happening around me, the excited and nervous expressions on the faces of my brother and his brave wife, the OB joking quietly with the nurses, the incredible surgery that was taking place right before my eyes. 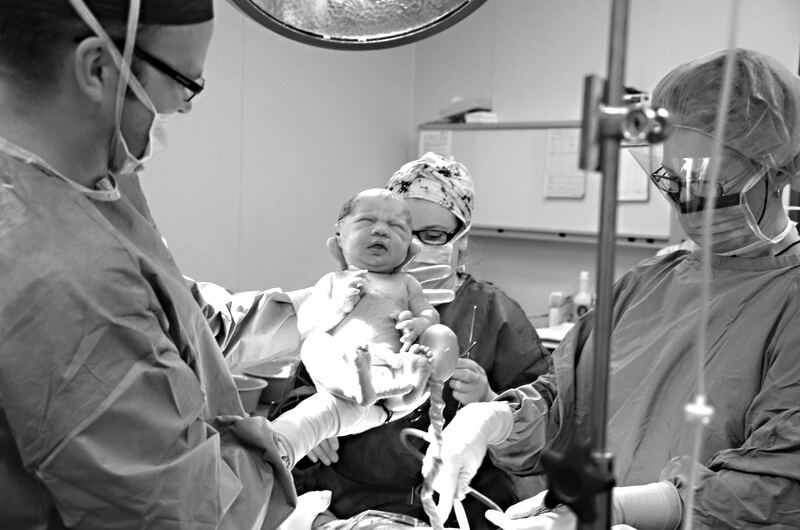 In no time at all little Lucy was being gently lifted from deep in her mums abdomen. She let out a yell while half her body was still inside and we all laughed in a moment of sheer joy and relief. 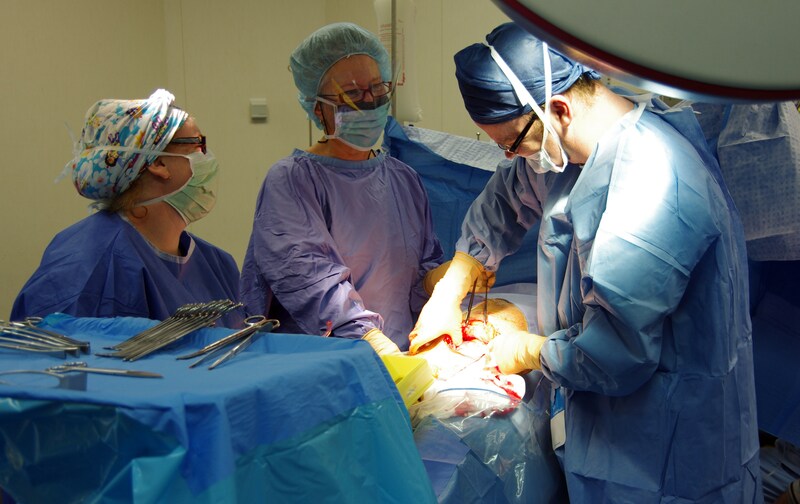 The umbilical cord was cut and little Lucy was placed unwrapped on her mums chest. We all marvelled at her perfection and the way she sucked her thumb. Just goes to show that a birth doesn’t need to be “natural” to be stunningly beautiful. Dear Kate,you ooze beauty,confidence and love. And your writings are beautiful.